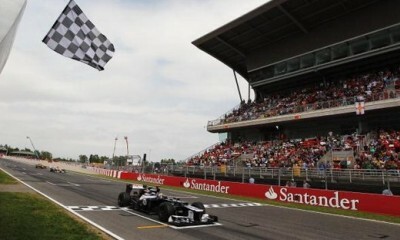 Welcome to the Formula 1 Gran Premio De Espana Pirelli. 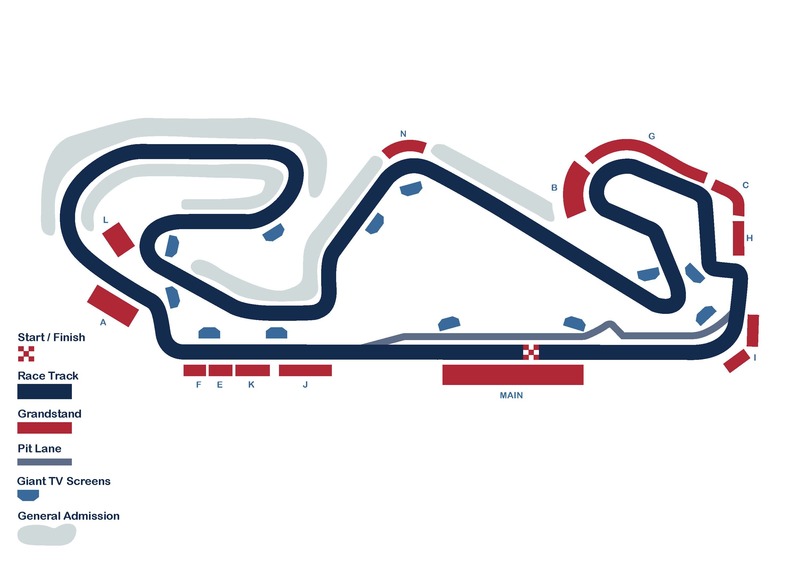 Taking place at the Circuit de Barcelona-Catalunya located on the edge of Barcelona, the 2019 Spanish Grand Prix is the first European race of the season. With a good amount of fast and slow turns, the circuit truly challenges drivers and teams and offers spectators several adrenaline rushes along the laps. The track has few overtaking opportunities, of which one is the popular Elf corner. General Admission – General Admission offers access to several designated areas largely in the Western section of the track. Many of these areas are elevated offering good views. Some of the very best atmosphere tends to be created from the fans in these areas particularly recently as a sea of red cheers on local hero Fernando Alonso. 3 Day Grandstand J – This uncovered grandstand J is located towards the end of the long pit straight opposite the pit lane exit. It provides good views of the racing cars starting to brake for the Elf corner and of the spectacular acceleration of the cars out of the pit lane. A giant screen sitting opposite your stand will ensure you don’t miss out on a second of the action. 3 Day Grandstand A – Grandstand A offers great views of the first corner and the early parts of the lap from its elevated position. Grandstand A is uncovered. 3 Day Grandstand F – Grandstand F is located facing the first corner of the circuit offering a great view of that initial race down to the first corner and also the likely overtake attempts as the cars come to the end of the long main straight. Grandstand F is uncovered. 3 Day Grandstand Main High (Covered) – The Main Grandstand is one of very few that is covered to offer protection from the elements. This Grandstand is in the prime location overlooking the grid, pits and start/finish line. Sunday Only Grandstand N – Grandstand N is located at Turn 9. You’ll be facing an interesting section of the track which will allow you to see the cars push for an amazing speed as they storm towards the corner. This sector is also valued as one of the most demanding in terms of technical ability. With a view extending from Turn 7 to turn 10, you will enjoy numerous adrenaline-filled moments as the cars storm through 2 straights. A giant screen sitting opposite your stand will ensure you don’t miss out on a second of the action. Grandstand N is uncovered. Sunday Only Grandstand E – Grandstand E is located at the end of the Main Straight, just opposite the first corner. You’ll see the cars storm down the straight and drastically break from 315 km/h to 132 km/h in order to negotiate Turn 1. You’ll also get clear sights of the action up to Turn 3. A giant screen sitting opposite the stand will ensure you don’t miss out on a second of the action. Grandstand E is uncovered. Saturday & Sunday Silver Marquee Hospitality – The Silver Marquee Hospitality package consists of a Grandstand ticket in the covered I Grandstand and a catering ticket for a marquee located close to the Grandstand. Inside the marquee you will find an open bar and buffet area. High tables and chairs are provided in the open space outside the marquee. Saturday & Sunday Gold Suite Hospitality – The Gold Suite Hospitality package consists of a Grandstand ticket in the covered Main Grandstand and access to a suite with Catering and open bar. The suite is located on the first floor of the Main Grandstand, just opposite the pit lane, the pit garages and the main straight. Paddock Club Hospitality – The ultimate in F1 Hospitality, to include VIP access to the circuit, viewing from above the pit garages and entertainment.